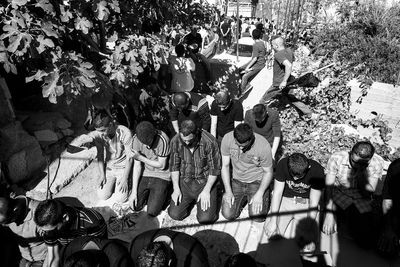 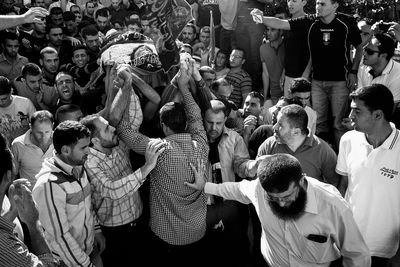 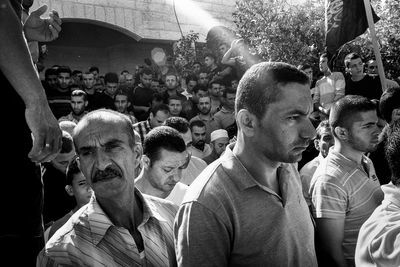 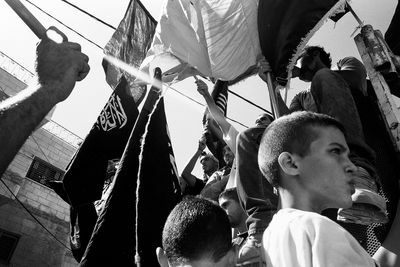 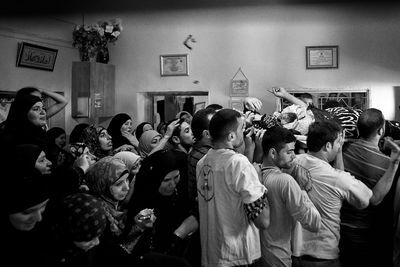 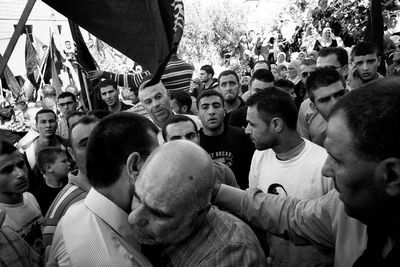 Thousands filled the streets of the village of Beit Liqya, mourning the death of Islamic Jihad militant Muhammad Assi ,28, who was shot dead on Wednesday by Israeli forces near Ramallah. 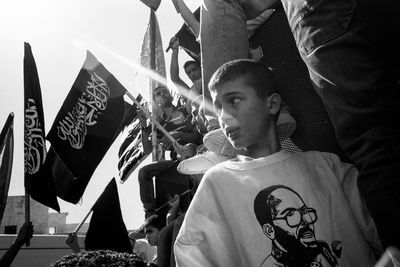 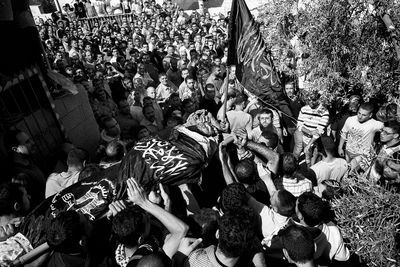 At the funeral, Assi was wrapped in Palestinian Islamic Jihad flags. 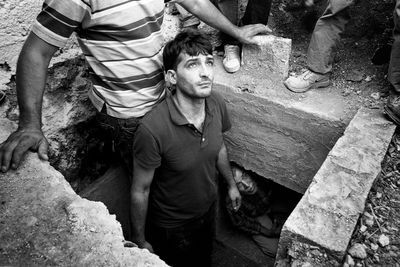 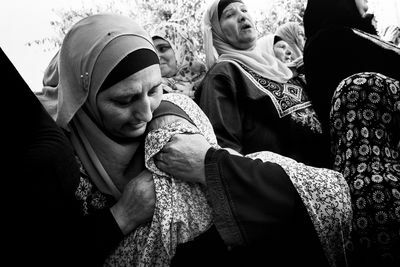 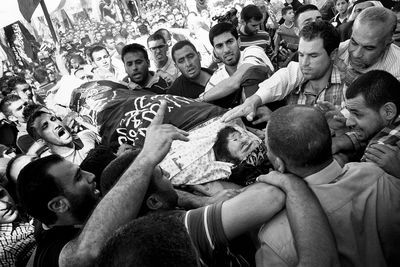 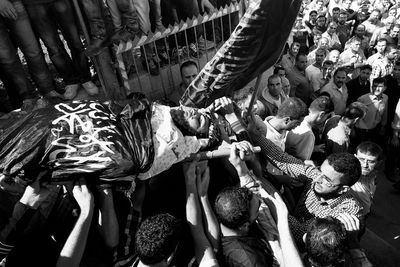 Scores of cars followed the procession and thousands carried the body while chanting slogans calling for revenge and resistance against Israel's occupation. 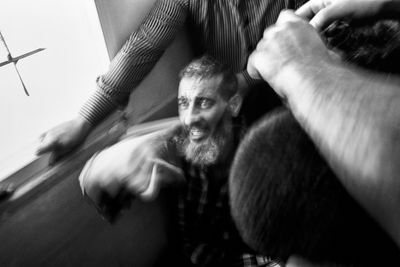 Islamic Jihad did confirm Assi was one of its militants. 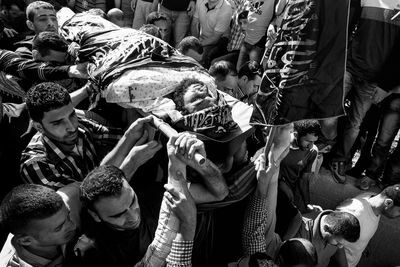 The Israeli army confirmed the incident and claimed Assi was responsible for the Tel Aviv bus bombing in November 2012 that wounded 29 people.